My children love Ghee (Neii- Tamil)). It is a quintessential item in my home. Somehow I never liked the store-bought ghee. I always make it at home. It's a very simple process. 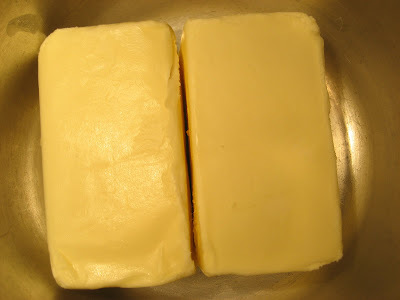 Melt the butter in a heavy bottomed pan on a medium heat. I usually use the 5 litre pressure cooker without the lid to avoid the melted butter boiling over and to limit sputtering outside. Do not cover the pan. 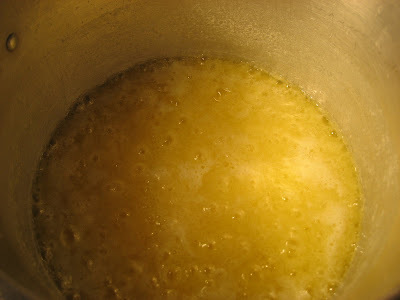 Once the butter got melted, reduce the flame and cook it in a low heat. Foam will star to form on top making splashes and sputters. Let it cook in simmer for 20 minutes. 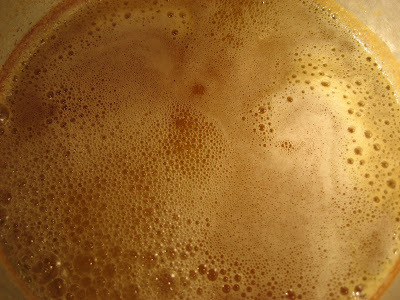 Turn off the heat once the bubbles and splashes stops and you see the golden color appearing. If you leave it on the flame for even a minute more, it will turn brown and it tastes awful. 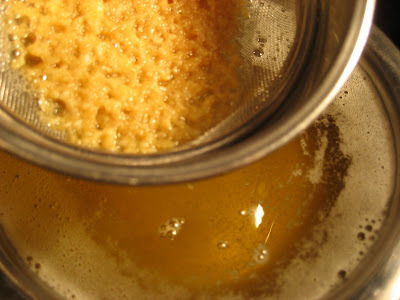 Strain it immediately to a clean dry vessel (heavy bottomed vessel) to avoid cooking further. You have to be very careful while straining as the ghee will be real hot. Discard the milk solids that are golden brown color that settle at the bottom. Once it cools, transfer to an air tight container and store it in room temperature. Ghee needs no refrigeration. Use always unsalted creamery butter . Never use salted ones to make ghee. Make ghee always in low flame. Multi tasking is strictly prohibited. Few sprigs of Murungaikeerai (drumstick leaves) can be added at the end. My mom usually adds it after dipping the sprigs in buttermilk(don't know why she dips). Though ghee is one of the healing foods in Ayurveda , it's a pure form of saturated fat. So I limit the intake of ghee. But as ghee is the only source of fat in our vegetarian diet , I give my kids rice&dhal mixed with ghee every day.